Duplicate content has always been a hot topic among webmasters; mostly because no one really knows what it is and the rumors persist. And Google doesn’t help much either. Sometimes, I think of it as a hyperactive 3 year-old, who is incredibly sharp in some areas, but not so much in others. So the best way to go is to keep it simple, stay under the radar, and shoot for the middle of the road. With that said, let’s figure out what duplicate content is, what it isn’t, and what you should do to stay on top of it. “Duplicate content generally refers to substantive blocks of content within or across domains that either completely match other content or are appreciably similar. Mostly, this is not deceptive in origin. …identical or substantially similar content. …within your own domain or across others. …most of it is normal and acceptable. Why Is Duplicate Content a Problem? So, if duplicate content is ‘normal’, then why all the fuss? How would you like to search for the best bbq ribs recipe (? ❤️ ) just to find that every single result on the first page turned out the same recipe? Users don’t like the same result and Google doesn’t like crawling the same results. For a search engine, it’s also a botpower issue. If duplicate content is substantial, the crawl/indexation rates might be dampened. In short, the site can lose some ‘trust’. Now in the spirit of “being informed”, let’s take a look at the 2 types of duplicate content you see around, shall we? Cross-domain type: this one is the most commonly thought of and includes the same content, which (often unintentionally) appears on several external sites. Within-your-domain type: the one that Google is actually mostly concerned about, i.e. that appears (often unintentionally) in several different places within your site. Let’s now do a little more exploring into each type and see what Google really thinks about it. There is absolutely nothing wrong with syndicating your content to different sites per se. Here’s what happens when your content gets syndicated: Google will simply go through all the available versions and show the one that they find the most appropriate for a specific search. Mind you the most appropriate version might not be the one you’d prefer to have ranked. That’s why it’s very important that each piece of syndicated content includes a link back to your original post – I assume it would be on your site. That way Google will trace the original version and will most likely (but not always) display it in its search results. I would be mindful that taking all your articles and submitting them for syndication all over the place can make it more difficult to determine how much the site wrote its own content vs just used syndicated content. 2) if you do syndicate content, make sure that you include a link to the original content. However, here’s the other side of content syndication coin: the content is deliberately duplicated across the web in an attempt to manipulate search engine rankings or to generate more traffic. This results in repeated content showing up in SERPs, upsets the searchers, and forces Google to clean out the house. On-site duplicate content problems are much more common and guess what: they are entirely UNDER YOUR CONTROL, which makes it very easy to fix them. The first step to identifying the potential weak spots on your blog is learning more about your content management system. For example, a blog post can show up on the home page of your blog, as well as category page, tag page, archives, etc. – THAT’S the true definition of duplicate content. We, the users, have the common sense to understand that it’s still the same post; we just get to it via different URLs. However, search engines as unique pages with exactly same content = duplicate content. Be consistent in your internal link building: don’t link to /page/ and /page and /page/index.htm – if links to your pages are split among the various versions, it can cause lower per-page PageRank. Use 301 redirects: If you have restructured your site (for instance, changed your permalink structure to a more SEO-friendly one), use 301 redirects (“RedirectPermanent”) in your .htaccess file or, even simpler, use one of the many Redirection plugins available in your WordPress plugin directory. Minimize repetition: i.e. don’t post your affiliate disclaimer on every single page; rather create a separate page for it and linked to it wheb needed. Managing your archive pages: Avoid duplicate content issues by displaying excerpts on your archive pages instead of full posts. You really want to give your readers just a hint of the content and direct them back to the original posts. To accomplish that, open your archive.php of your theme and replace the_content with the_excerpt. Hint: make sure your category and tag pages also display excerpts only. Country-specific content: Google is more likely to know that .de indicates Germany-focused content, for instance, than /de or de.example.com. Oh, wait a minute: one more important issue: robot.txt file. Google doesn’t recommend blocking duplicate URLs with robots.txt, because if they can’t crawl a URL they have to assume it’s unique. It’s better to let everything get crawled and to clearly indicate which URLs are duplicates…. Robots.txt controls crawling, not indexing. Google may index something (because of a link to it from an external site) but not crawl it. That can create a duplicate content issue. I’ll have Google answer this daunting question. A lot of people think that if they have duplicate content that they’ll be penalized. In most cases, Google does not penalize sites for accidental duplication. Many, many, many sites have duplicate content. When you think the benefit outweighs potential ranking concerns. Consider your cost of fixing the duplicate content situation vs. the benefit you would receive. Remember: duplication is common and search engines can handle it. How exactly does Google handle it? While pulling up the search results, Google will basically collapse the duplicates leaving only the most relevant, in their opinion of course, page in the SERPs for that specific query. As I explained before, the way Google determines the most relevant result is based upon a myriad of factors and the only thing you can do for your part is to always link back to your original post. What does it mean to the average webmaster? We can all do a little chicken dance, since the probability of scraped (stolen, in other words) content ranking above the original articles that we put blood, sweat, and tears into, is minimal. Google is rightfully going to war against all the autoblogs that don’t have what it takes to produce content of their own and all they do is republished other people’s work in hopes to rank highly in search engines, bring traffic to their crappy websites and make some money off AdSense, paid advertisement, and such. If you find that another site is duplicating your content by scraping (misappropriating and republishing) it, it’s unlikely that this will negatively impact your site’s ranking in Google search results pages. If you do spot a case that’s particularly frustrating, you are welcome to file a DMCA request to claim ownership of the content and request removal of the other site from Google’s index. Originally this duplicate content post was written by me as a guest post for Search Engine Journal.  This topic is so important though that I decided to bring it to Traffic Generation Cafe and make sure that you have your questions on the subject answered once and for all… well, until Google changes something again, that is. Of course, I have some special additions to the post just for my readers – you, that is. Comment Pagination: believe it or not, when you break down your blog comments into pages, you create duplicate content. Tag/Category pages: the issue here is the same as with archives – if you display full posts on those pages, you create duplicate content. So make sure you switch to showing excerpts only and that will solve the issue. Author pages: when you are a blog of one or many authors, each author has an archive page, which collects all the posts he/she has written. You got it: make sure to display excerpts. If I think about it, I am sure, I’ll find many other instances of dupe content on your site. However, remember what I said above: most of these instances are considered natural and Google (most likely) will deal with them without a glitch. Does it mean you should forget about duplicate content and viva la vida loca (live crazy life, in other words)? In short, Google will give your site only that much “crawling” attention and you should spend those precious seconds wisely – not making Google figure out what content it actually should pay attention to. 1. Dupe content doesn’t cause your site to be penalized. 2. Google is very good at picking the best version of your content to be displayed in SERPs and ignoring the rest. 3. Almost all dupe content issues are easy to fix and should be fixed. 4. Don’t worry, be happy – don’t be afraid, be informed. Search Engine Ranking Tip: Keyword.com or MrSmith.com? I was playing around on Flippa and the number one thing driving down my website’s value was copyscape’s possible duplicate content value – it has me a bit freaked out that there is a ton of stuff I’ve overlooked. Thanks for the systematic review of where the problems are and how to start to get a handle on it – I need to take a good look at my stuff again after my little Flippa nightmare encounter today…. I’ve never used Flippa for anything, Dana. Do you mean that your content comes up as duplicated from another site or within your own site? To my immense shame I’m still confused of index and follow or noindex, nofollow categories and tag archives on a WordPress blog and I would kindly ask you guys to discuss a bit about these. It seems many authors have different settings…I’ve seen you Ana leave these unchecked on your Thesis site…can you detail a bit? Great Post. I have always wondered about duplicate content and what exactly it means. I have a question for you. I used to submit my articles to article directories, but have stopped doing so. Other members of the article directories are permitted to post your article on their site or blog as long as they credit the author. Some of the members that were re-posting my articles were not giving me credit as the author, which means there is no link back to my website. These same articles are posted in several different places with a link back to my website (posted by me as well as others). There are just a few that I found by others that don’t have a link back to my site. My question is: Will Google still see me as the original author and their re-posts as duplicate content? That is the way I understood it by reading the article. That’s what Google would like to do, but there are slip-up, of course. If those articles rank above yours, then it’s definitely a problem. If they don’t, but it really bothers you, then it’s a problem. If you care more about your time, then I wouldn’t worry about it. I have started using rel=author on my website, but as of yet Google has not taken notice of it. I understand it takes some time to take effect. I will read the article you suggested. It hasn’t worked for me either, Laurie, and it drives me NUTS! Ana – It has just started working for me. I put the code in for it 4 months ago. I think maybe this is a roll-out and they just got around to me. Who knows. Thanks for responding to my comment about duplicate content. This post is a good one. I want to clarify something from this post. If I have categories on my blog, are you saying I shouldn’t show the full posts in the categories? On another note, I noticed someone else referring to scraped content being ranked. I recently had someone taking my exact titles of my articles, spinning them in a way they didn’t make a lot of sense, and those blogs were outranking me for my own titles with the spun content scraped from my blog. I already contacted the owner of the blogs being linked to with my content and he said it would never happen again. I’m not sure how to handle this one. Categories: you got it right, Sye; show only post excerpts on your category pages and not the whole posts. Scraped content: as much as Google is trying to combat the issue, it does still happen that this kind of content ranks higher than the original one. That’s the only time I am truly concerned that someone does that. The canonical tag can be used if you are splashing an article via multiple domains or locations … very handy! Really interesting information about duplicate content. After reading this post, duplicate content appears to be somewhat like an unknown monster we all feared as kids but that wasn’t real. It seems if you publish good content, a duplication of it now and then isn’t going to kill your site in Google’s eyes. Before reading your post, I had a couple of things that were in the back of my mind. Seattle Met Magazine published a sidebar in 2011 Dentistry Issue on how to get rid of gummy smiles using a laser. I reprinted it pretty intact on our Brookside Dental blog, but I noted clearly at the start of the blog post that I had done that exact thing. Also, I pointed out that Seattle Met Mag had interviewed me for the original information in their sidebar. They have another sidebar scheduled for their 2012 Dentistry Issue citing me, so I will republish it too without fear thanks to you. The other was an article I wrote for Byzmoms website on porcelain veneers and I reproduced it on our blog but as you mentioned I linked back to the original article. I have seen it copied verbatim on two other sites dealing with porcelain veneers. So now I have a clear mind thanks to your discussion. I assume that in both cases the original article will get the credit and that is OK and the duplicate police shadow in the back of my mind in now purged. Thanks. You absolutely got it, Cynthia. What will most likely happen is those duplicate posts will never be indexed by Google, that’s all. As long as you don’t have duplicate content on your domain site i think all is fine. I f you use a unique written post from your site and use it to submit to article directory sites as syndicated it won’t be a problem as long as it’s not used abusively like blackhatters do. If you submit to say 10 article directory all is fine. I had no problems what so ever with lower ranking changes. Glad to hear that, Mittel. Our blog this weekend seemed to have gotten spammed by a robot with close to 500 articles in less than 48 hours!! Most of the articles do actually seem quite good, but the problem is that they are duplicate articles, already posted on other sites! I seem to have stopped the issue of getting so many auto generated article submitions by putting a capatcha plugin on the blog.. Now I’m wondering, is there a plugin that can search to see if the article submited is already a duplicate article so that I wont personally need to search for that? Also, if I submit half of the articles that I consider to be quite newsworthy would I be penalized? most of the articles I intend to get rid of. One thing is for sure tho. The duplicated content is not being submited into our article contest. Duplicate articles per se are not going to hurt your site, but when you start publishing them in bulk, Google might think that since you don’t have much original content, you must be an autoblog. Since the last Google update those didn’t do very well in terms of rankings. I think it’s a pretty safe bet to assume that when you have a robot-submitted articles on your site, they ARE duplicates submitted to tons of other sites as well. I don’t know of any plugin to verify that, although it might be worth doing a search for one. I usually use Copyscape.com for these kinds of things. So it comes down to what kind of blog you are building. For instance, I would never publish a bunch of duplicate content on this blog. I’m glad to be of help, Gerri! This seems to contradict the rest of the article, which is all about why duplicate content doesn’t matter. In particular, it contradicts the “you will not be penalised” point. Any sort of limitation on crawling attention limits the reach of the search engine into your content, meaning that links do not appear in search engine results – and that certainly sounds like a penalty to me. Reconciling this requires a clarification; I suspect that what you intended was to say that your results RANKING would not be penalised simply because the same content appears in multiple locations. In other words, there is a practical penalty but not a policy penalty. Mike, if you reread the article, there’s no contradiction whatsoever. Your site does get an allotment of time to be crawled. The more authorative and popular the site, the more time. If Google bots spend time trying to figure out your dupe content pages and which one to show in SERPs, they won’t get to other valuable content you’d love for them to get to. Your last paragraph needs clarification for me. I am not sure that the difference between ranking penalty vs polity penalty is. Ana, the contradiction is between there being “no penalty” – which you argue for most of the article – and a very definite penalty which comes about because google has only limited time to devote to crawling the website. To clarify my previous concluding paragraph, there is a distinction between a penalty that arises from physical systemic limitations (including a limited amount of time to spend crawling a site), which can be described as a “practical” penalty, and a penalty that is imposed universally on all sites with duplicate content as a matter of policy – a “policy of penalty”. Your reply confirms that there is a defacto penalty (content not being indexed) which CAN result from having duplicate content, exactly as I understood it from your article, whether or not there is a deliberate penalty imposed by google. There may be no penalty in terms of page rankings, but there may be a penalty in terms of pages going unranked. Actually, I’m looking forward to the day when I have enough comments to have to risk this!! I’m learning this is a slow process, but persistence will ultimately pay I keep getting told. Really enjoyed your tag line, & I’m keeping happy as I try to become better informed. Thanks for coming by; see you back soon! Thanks so much, Randy; your thumbs up are greatly appreciated! A good solution to noindex issue you mentioned would be to have only one page with your disclaimer or terms and conditions or whatever other boilerplate page you need and simply display a link to it where needed. Also, most premium WP themes, like Thesis, will let you noindex any page you want. I know it’s hard to add codes to comments section! Hi, Kimi – I think it’s a matter of time when Google changes the way it ranks PRs. Webmaster tools are great; I, too, use the all the time. Great post and wonderful research. Since Panda Dup. content is something that has been on my mind, as I am sure it has been on many other peoples minds. thanks for all the research and sharing the good info here. You are so very welcome, Steve – have a great day! Most bloggers have nothing to fear from duplicate content, Oliver. It does help to structure your blog properly, but even then Google can deal with it either way. Thanks for coming by, Mark! Amazingly researched written, as always. I find freaking out over things to be annoying. LOL I’ve taken care of the duplication issues on my site, and then did like you said – don’t be afraid, be informed. I guess you could put bizchickblogs.com in the content syndication bucket, since I syndicate maybe 30% of the content now. My traffic is great; it’s very much the model that Social Media Today uses, except I think they syndicate much more. The bizchickblogs.com has great domain authority, so syndicated content there does tend to outrank the original content, but of course there is a link back to the original content, and I do make minor changes, primarily to meta data (since that doesn’t come over in syndication) and alt tags in images, and sometimes adding a different image. So far, so good, for both bizchickblogs.com and those who syndicate. Thankfully there are still people who are not afraid of SEO myths. Your site is doing so well, Tia (I was there yesterday) that it’s obvious that many people still have their head on their shoulders and are not afraid of syndication. Thanks, Sandeep, and thanks for being my loyal reader – always a pleasure to see your face in my comments! Wow Ana, comment pagination? Archive excerpts? Author pages? I have work to do. One of the hardest lessons that I’m learning about traffic is that shortcut methods work…for a while. It can be frustrating seeing the black hats and gray hats and spammers rank while I’m struggling to even show up in the SERPs. But ultimately your approach is right: put up good content, don’t do stuff that makes it look like bad content, and eventually you’ll rank and stay ranked. Thanks for making the internet a better, happier place. You certainly put a smile on my face this morning, Erick! Yes, true SEO takes time, but once your site is ranked, it’s there to stay no matter what Google comes up with. As I mentioned in the post, these potential dupe content issues are easy to fix and once they are fixed, they are fixed. Wow – a complete post about duplicate content. That was awesome! I guess all those with WordPress robot better beware! It’s better to write your own content for so many reasons. It helps bloggers become experts in their niches and use their creative mojo to work on giving to others. It’s good marketing, good business and good creative power. Plus, after so many posts are created, blog owners can compile them into an ebook for giveaway or to sell. Wow nice read Ana, I wasn’t aware of problems arising from author’s/tags pages and such, now I gotta find a way to show excerpts in WordPress instead of full posts. I was aware of penalizations from duplicate content, I wasn’t exactly aware of what Google considered dupes, but you cleared out my mind, now it’s time to take action. Thank you, for this very comprehensive article. I can see a couple of things I need to check. Good thing I have someone that can help me look at some of the deeper issues like, robots. I do think that most of the issues are generally taken care of when you use WordPress. They do make it easy to change things like using excerpts for your categories. Again, as always, BRILLIANT advice. I have had my own issues after migrating from Blogger to WP, but your canonical articles helped a ton!!! I appreciate the tips about some of the practical actions we can take care of ourselves in this regard and awesome that Google is so “on to it” which makes life easier for all of us. Thanks. You are so welcome, Marcus – this is definitely actionable info. So good to see you at TGC! Ana your post about duplicate content was very through and made total sense. Thanks for the compliment, Suzy – that’s what keeps me publishing good content! I used to be confused on the topic as well until I decided to learn more about it once and for all. Being in SEO for a while, I’ve seen a lot of posts about duplicate content. This was really one of the best I’ve seen. Accurate, in depth and easy to understand. A lot of sites that scrape my content (up to my watermarked photos they do not even care to remove), rank well for a lot of keyphrases. There are even some sites that have taken off their scraped content but they still rank well for the page with non-existent content and when you click on the link, you will get to a 404 page yet they appear on the first page of SERPs with richer websites trailing behind. My blog gets scraped constantly, as you can imagine, Maky. I don’t know if any scraped versions are ranking over mine (I don’t have time to track my rankings – what a sad thing for an SEO to say! ), but I agree with you – Google has a lot of work to do no matter where I go. Good stuff here. I can see what I need to fix in my blogs. So I open both category.php and ?whatever the tag page is.php and replace the_content with the_excerpt in both? Good question, Peggy, and that’s where I’ll fall flat on my face – I don’t do any technical support on my blog, so I know how to do things in theory. I would back up my blog and try that. Do you have any idea about any tool or software available which can find duplicate content?? I mean both types of duplicate content Cross-domain type and Within-your-domain type. That would really help to minimize the duplicate content issue. There are some paid tools that would tell you about dupe content within your site, but none of them are that great. I have some 15K links to this blog, Peter, and I didn’t build them – most of them come from blogs republishing my content, i.e. scraping it. Hi Ana – picking on article spinning I see? Great post on the duplicate content question. So it appears it’s really nothing to worry about as long as you don’t push the exact same version out to a million places and not link back to the original. When it comes to some of the article marketing we’re all taught to do, there is no original post, so that would be an issue. That makes a more strategic and long-term approach even more important and tasty an option. That’s the direction I’m heading in as it appears to be the bestest. Referring back to the original article is the key. I’m using one of my niche sites in my non-challenge with Alex, and interestingly the results are quite good. I’m not sure if writing 3 versions of an article is spinning per say (perhaps one form) but I can tell you that I am now hiring that out as it is mind numbing. I’ve also recently read a little eBook on a very different style of article marketing that I’ll be trying out, with a third already in progress. Wow, you really got into it, seems like. Might need a guest post about your findings. What a great post Ana. I am sure you had to go over a great ordeal to get all these information in one place, and providing your insights about the subject matter. Kudos to you for doing so. Duplicate content has always been a taboo for many and as you said, rumors still are born almost on a daily basis. I for one have missed on a couple of issues you mention here and will remedy them quickly. Fortunately, they ca be easily fixed :). Thanks! Most of these issues can be fixed very easily and the best part is it’s a “fix it, forget about it” kind of tasks. My father used to say that some people work harder to get out of work than if they actually did it. I’m glad to see that Google is (who knows how) going to reward the people who actually work on their blogs and websites, and put the babies who can’t work in the sandbox.